Amelia's is Gainesville's own connection to Old World Italy; a fine dining experience without pretense or stuffiness. It's the place people come to celebrate the special moments in their lives: a graduation, an anniversary or an upcoming wedding; the place to share a wonderful meal with great friends or a quiet dinner for two. 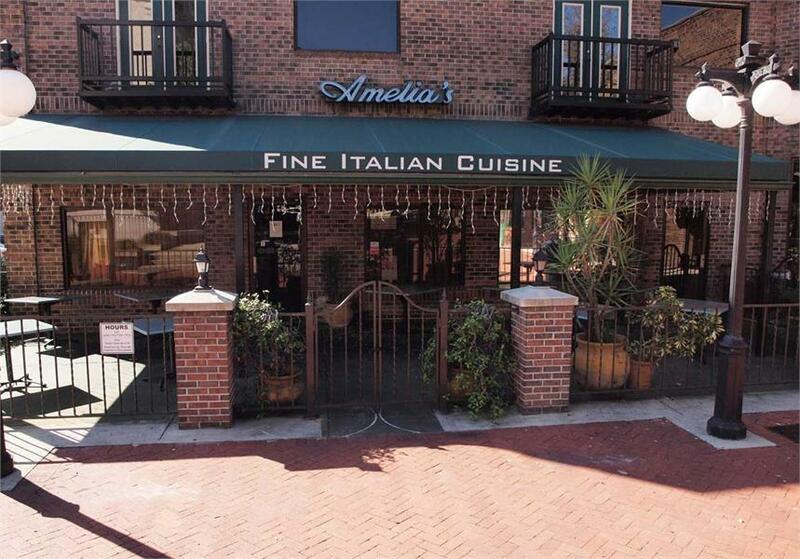 Located in the heart of downtown Gainesville, behind the historic Hippodrome Theatre, Amelia's Restaurant has been serving Gainesville's finest Italian cuisine for more than 20 years. Gainesville residents and visitors consistently vote Amelia's to the top of every "Best Of" list when it comes to traditional Italian dining. When UF alum Andy Fass bought Amelia's in 2007, he did so with the idea of preserving the restaurant's great tradition while introducing a fresh approach to the preparation of every meal and each dining experience. Today's Amelia's is a perfect blend of tradition and innovation, with a freshly renovated dining room, casually elegant service and a classic Italian menu. If you haven't been to Amelia's for a while, your next meal here will be both refreshingly new and comfortably familiar. We can't wait to welcome you back.